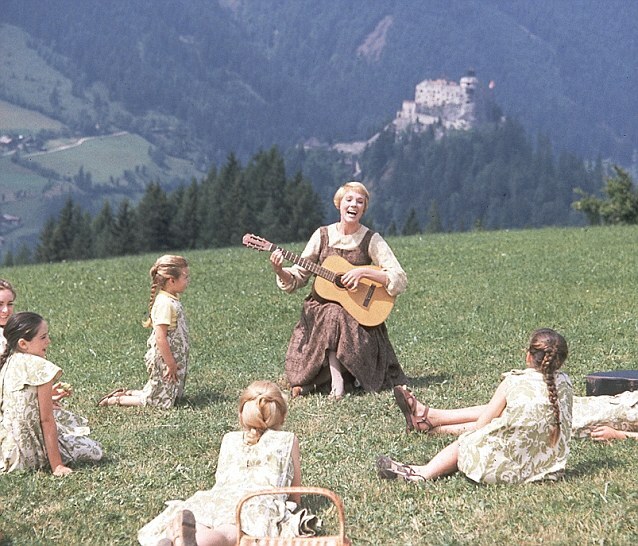 The Sound of Music may have come out almost half a century ago, but it seems our fascination with Maria and the Von Trapp family shows no signs of waning. 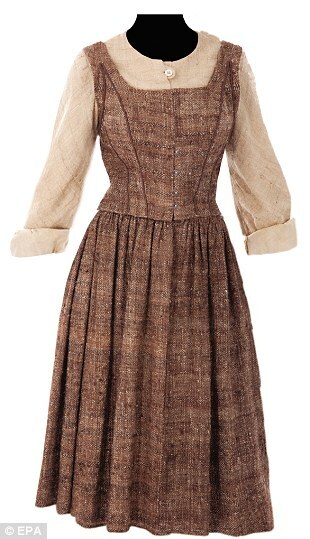 Some of the iconic costumes from the 1965 film – including the outfits Maria fashions out of old curtains – were snapped up at auction yesterday for a cool $1.3m (£845,000). 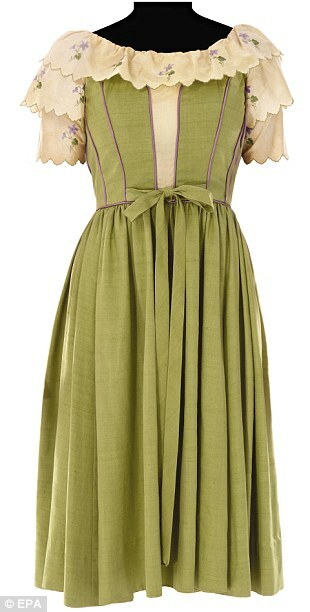 All seven children’s floral patterned green and white costumes were sold, alongside Maria’s ‘Do Re Mi’ dress, worn by Julie Andrews when she teaches the children how to sing. 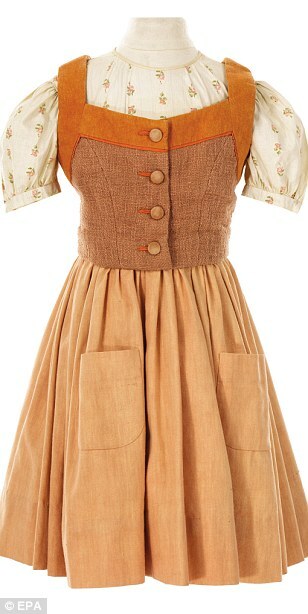 Consisting of a heavy brown homespun Austrian-style dress with wheat-colored blouse, the costume features 20th Century-Fox labels on the internal collar and waistband. 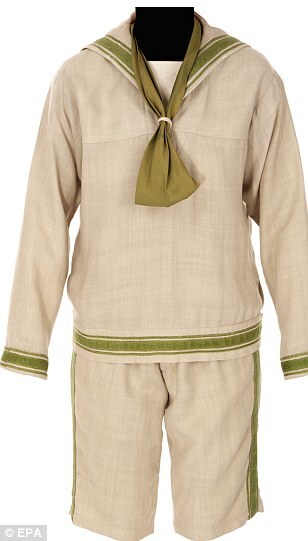 The children’s school uniforms from the beginning of the film were also sold, along with outfits worn during the climactic ‘escape’ scene, where the family cross over the mountains into Switzerland. The film, which won five Oscars in 1966, gave us classic Rodgers and Hammerstein songs like ‘Edelweiss’ and ‘My Favorite Things’ and made Julie Andrews a superstar. The film tells the story of spirited young nun who brings together seven motherless children and their stern father through the power of music, before all of them are forced to flee from the invading Nazis. Sickly sweet to some, the film was given a lukewarm reception by critics when it was released, yet captured the hearts of generations of children. It was a huge success at the box office when it came out, earning nearly $300 million. As well as continuing to sell well on DVD, the musical, which opened on Broadway in 1959, is still popular across the world. The story even spawned a reality show in recent years. In ‘How do you solve a problem like Maria’ musical theatre wannabes auditioned for the part of Maria in a West End production. The Sound of Music sale, by auction house Profiles in History, run by Joe Maddalena, was part of a Hollywood memorabilia sale which also saw the sale of a painting of Tara from Gone With The Wind, used in the film’s opening sequence, for $270,000 (£175,000). I would love to play dress up in those!! – nadia , beirut lebanon,>>>>>>>>>>You can buy patterns online or go to Oktoberfest in Munich and have a rave and then see the sights in Saltzburg on the Sound of Music tour………………Sing till your hearts content! 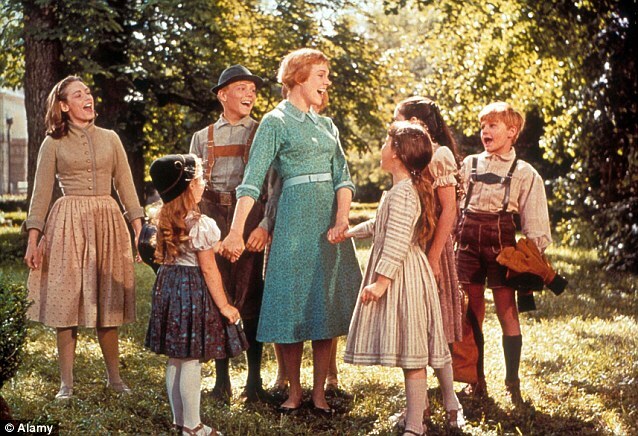 If Prozac was a DVD it would be The Sound of Music, even after almost 50 years this film is such an uplifter. One of my favourites!! Even though it was filmed well couple of decades before I was born whenever this classic is on TV I am glued to TV and I always enjoy watching it. anybody who buys this seriously needs to get a life. MORE LIKE THE SOUND OF …………….KERCHING!!!! !……..